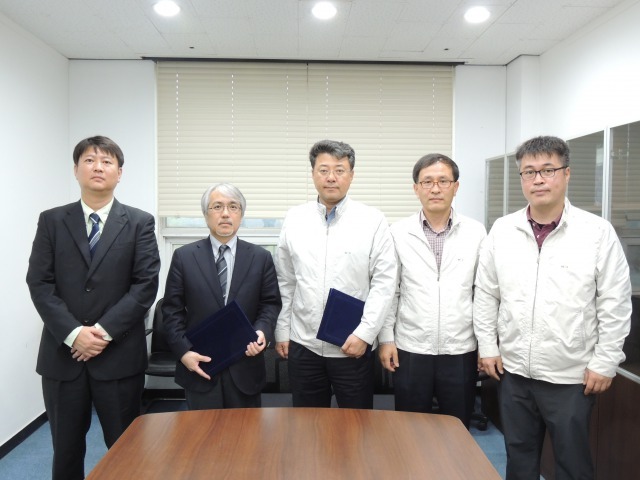 MRC-KU concluded MOU on Mg alloy research collaboration with Light Metal Division, Korea Institute of Materials Science(KIMS). 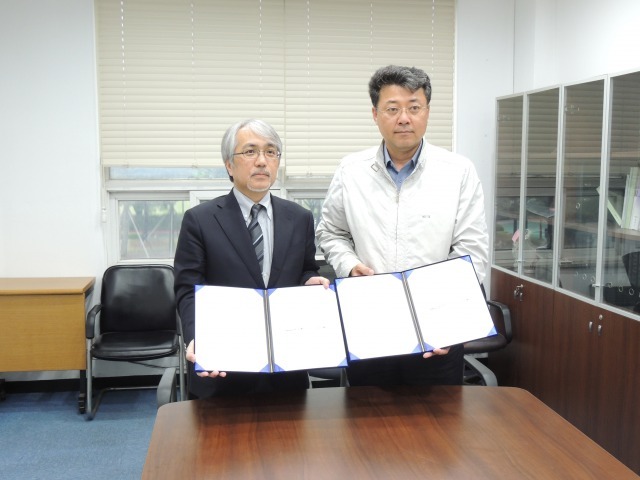 Prof. Kawamura, Director of MRC and Dr. Kim, Assistant Professor visited Korea Institute of Materials Science (KIMS) in Changwon, Korea and concluded MOU on Mg alloy research collaboration with Light Metal Division, KIMS. Posted by mrc.ku｜News｜Comments Off on MRC-KU concluded MOU on Mg alloy research collaboration with Light Metal Division, Korea Institute of Materials Science(KIMS).